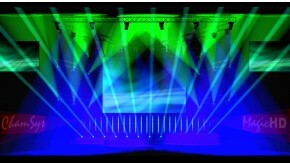 MagicQ software features include easy patching from a library of 9000 fixture personalities, simple attribute selection and programming, flexible live lighting control including a powerful inbuilt Pixel Mapper. MagicQ MQ60 can be connected via network to a PC or Mac running ChamSys free MagicVis lighting visualisation software for full visualisation of all the universes at no extra cost. 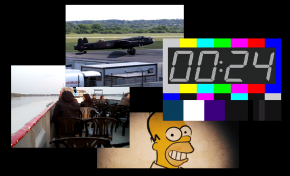 MagicQ MQ60 can be connected via network to a PC or Mac running ChamSys free MagicHD media player software for output of up to 8 layers of HD media at no extra cost. MagicQ MQ60 features the same flexible lighting control, media server connectivity and in-built Pixel Mapper found in all MagicQ consoles, and uses the same software and show formats, enabling compatibility between all MagicQ products. MagicQ MQ60 supports 12 universes over Ethernet using Art-Net I, II or III, Pathport, or Streaming ACN. In addition there are four fully patchable direct DMX outputs on the rear panel. For larger shows the MQ70 can be used as a net wing to a PC or Mac runnning free MagicQ software to control 64 universes - simply connect via a network cable. MagicQ MQ60 incorporates high reliability components, including high durability metal Neutrik Ethercon locking connectors for easy and reliable networking. As with other MagicQ consoles, the Ethernet switch is protected by the UPS, thus ensuring that both the console and the network switch maintain operation even during a power loss. MagicQ MQ60 features an in-built touch screen with the same resolution as the MagicQ MQ100 consoles, but in a more compact size. In addition, there is an external monitor output for a separate display, which can be a USB or serial touch screen. Based on the same ARM technology used in modern phones and tablets the MagicQ MQ60 has lower power consumpton and does not require a fan - enabling silent operation for theatrical and corporate shows. MIDI and Audio support is included in the MQ60 as standard - there is no need for an extra external interface. 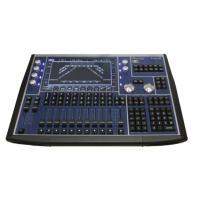 MagicQ MQ60 provides an immensely powerful complete control console in an ultra compact size. It is ideal for easy transport and fitting into small spaces, and is the console of choice for controlling lighting, video and LED. The MagicQ MQ60 also makes an ideal "tech console" for testing lighting on stage or in the warehouse.